Many years ago, my good friend Claire, whom I have known since I was 8, asked me to try an unusual combo on toast – Strawberry Jam and Cheddar Cheese. The cheese was melted on top of the jam, and I have to say it was flippin’ delicious. This is possibly where my love of unusual flavour combinations comes from. Surprisingly, I have never made scones before and really wanted to give them a try (new year, new things remember! ), and I thought the flavours of cheddar and strawberries might just give my scones the Cakeyboi twist I wanted. 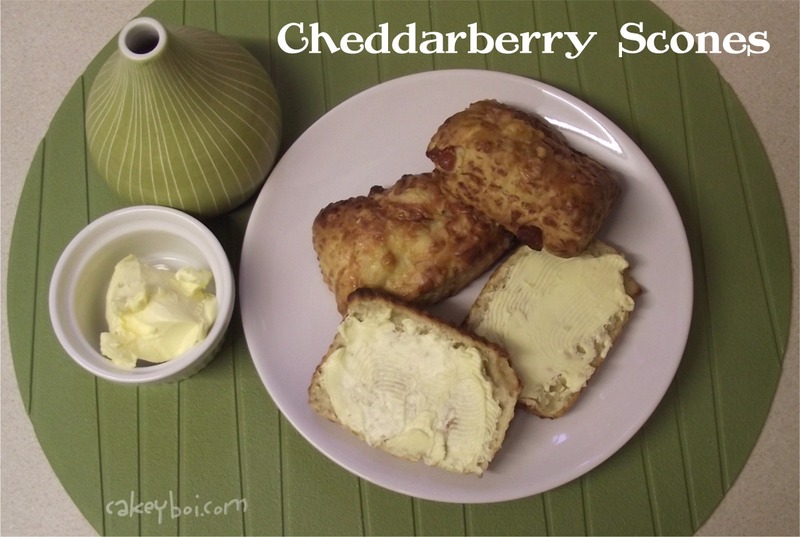 I found a recipe on BBC Food for cheese scones and also saw that Ina Garten used dried strawberries in her Strawberry Scones, so took elements from both and came up with my Cheddarberry Scones. I wanted to call them ‘cheeseberry’, but I googled that word and that means something altogether different!! I used strawberries, but raspberries or even blueberries would work well here too. Pre-heat your oven to 220oC and line a baking tray with greaseproof paper. Place the flour and salt in a bowl and add the butter. Rub the butter into the flour until it looks like breadcrumbs. Stir in the cheese. 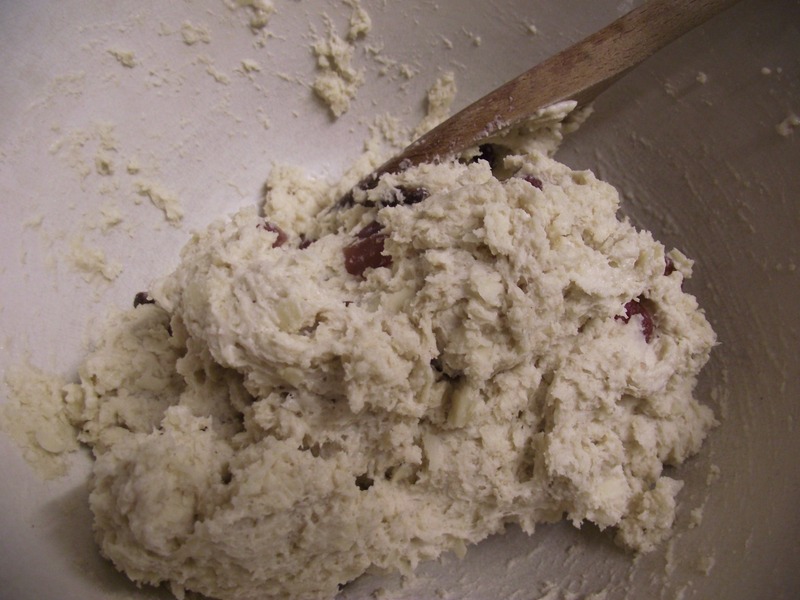 Add the milk and mix until it forms dough. 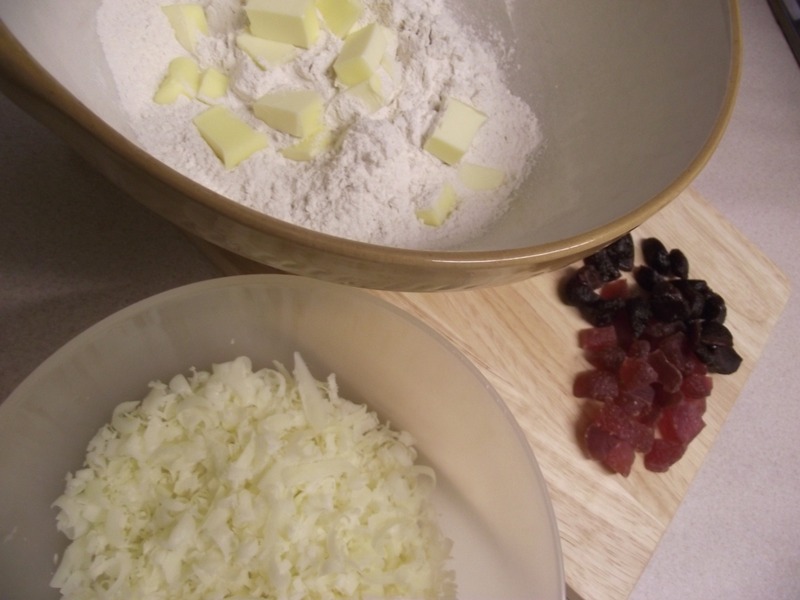 Next stir through the chopped berries and then place on to a lightly floured surface and give this a quick knead. Pat the dough down till it is about 1 ½ inch thick and cut out with whatever cutter you are using. I used oblong shapes. Just reform the leftover dough and keep cutting out until it is all used up. 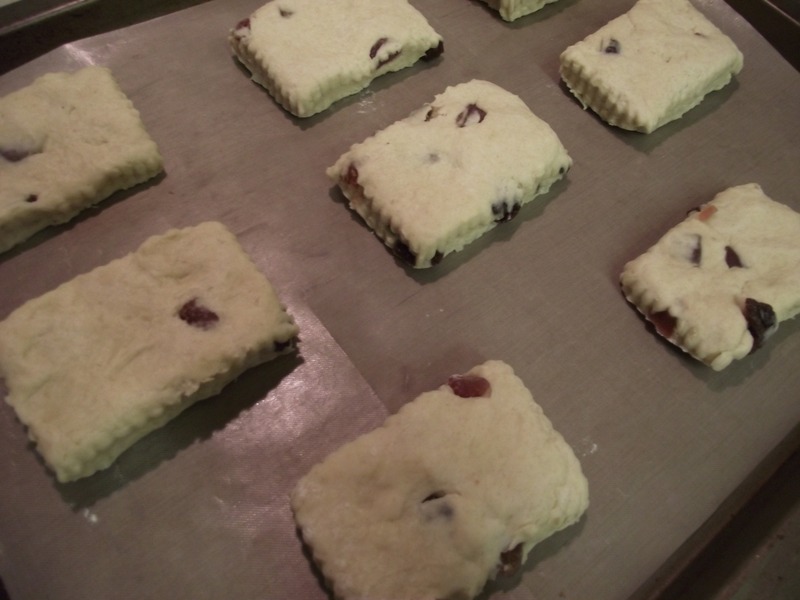 Place each scone on the baking tray. 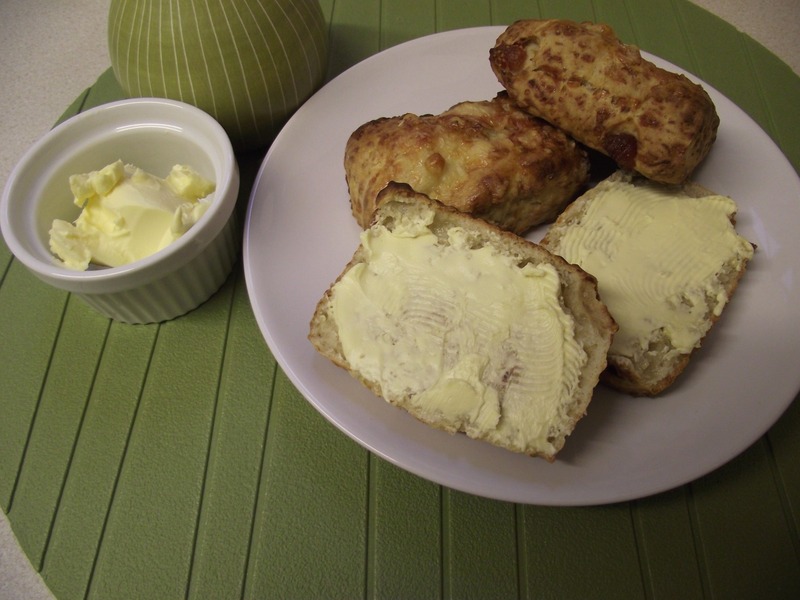 Brush the top of each scone with the egg wash and sprinkle on some more cheese. Place these into the oven for 12 to 15 minutes, until they have risen and darkened on top. The cheese will smell amazing at this stage! Leave them to cool completely on a wire rack and when ready to serve, slice in half and spread generously with butter. These are deliciously moist scones and have that sharpness from the cheddar cut with the sweet pops from the strawberries. 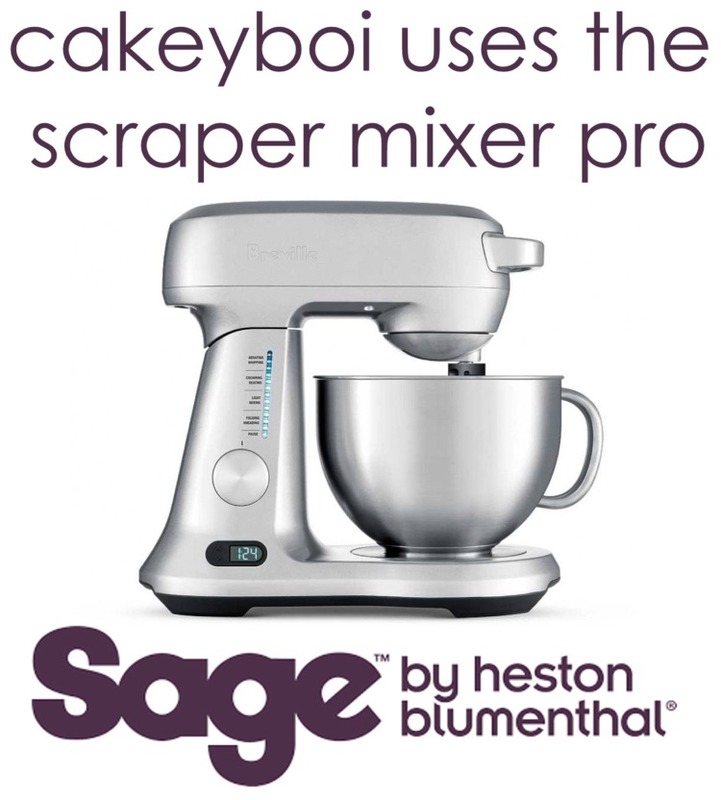 I urge you to try this next time you make scones – you won’t regret it. Enjoy! Oh I don't know about that combination, maybe I'll try with different fruit as I think dried strawberries would be too sweet for me. You're a brave man! Thanks Stephanie - especially re: the alphabet! Might ask for some ideas as I get closer to the unusual letters!! Those scones look delicious. I've known several people who enjoy a cheese and jam sandwich, and why not? 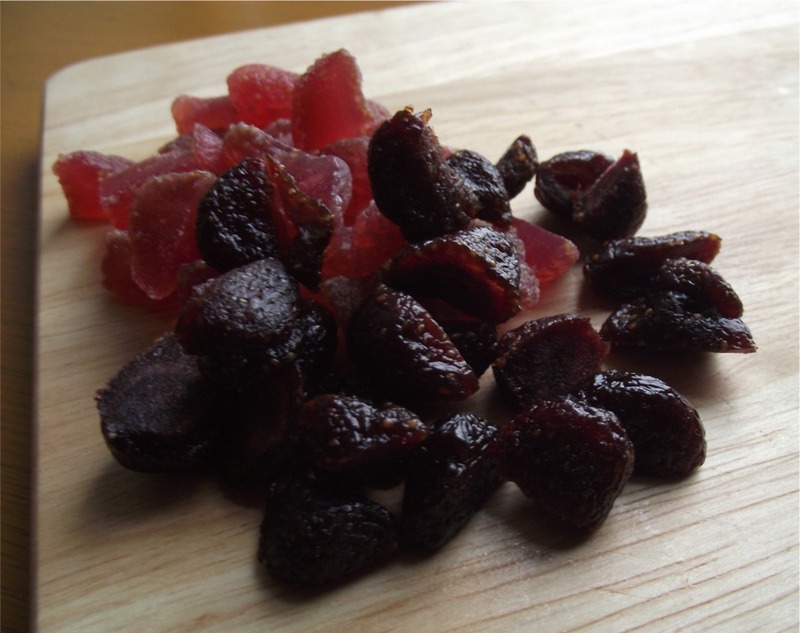 Cherry jam is often eaten with cheese in the south of France.